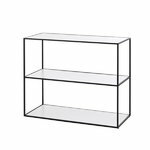 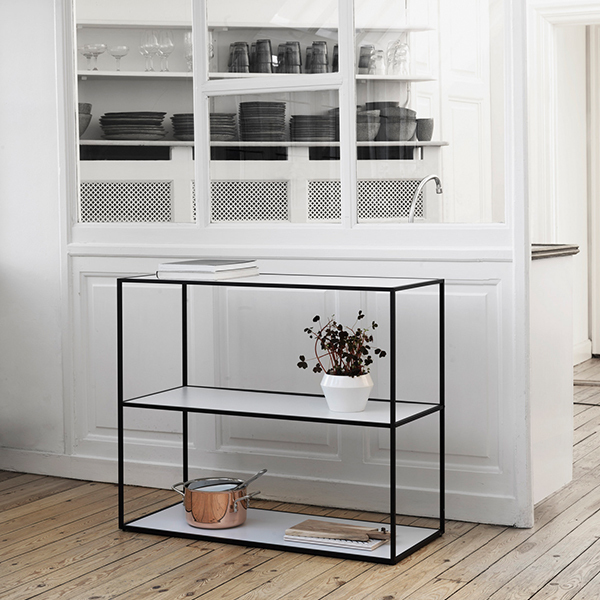 By Lassen's Twin bookcase features a clean and minimalist design that suits various decor styles: thin, reversible shelves rest on a slender steel frame. 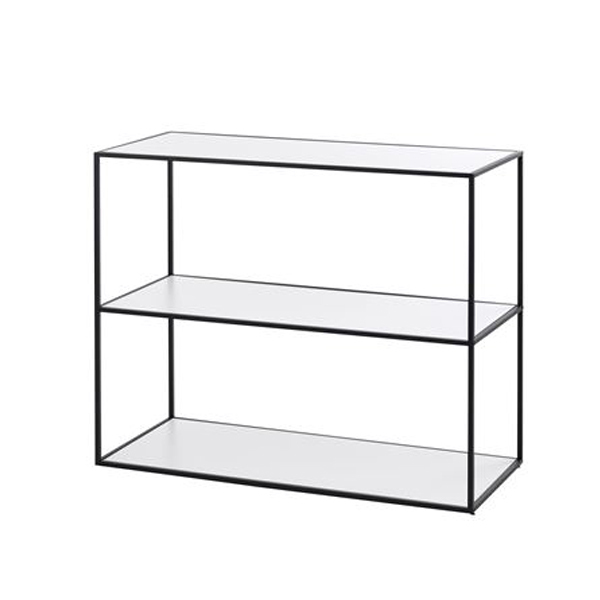 The shelves are coloured with light grey on one side and white on the other. 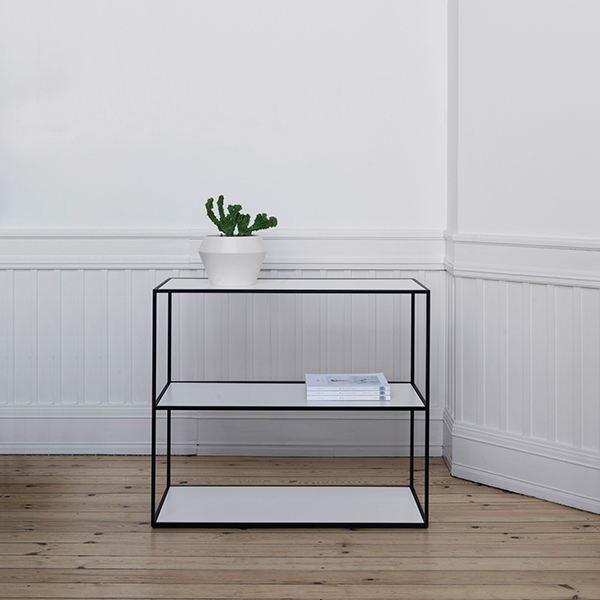 The grey-framed Twin blends in with light-coloured spaces whereas the black bookcase draws attention to the simple and graphic form. 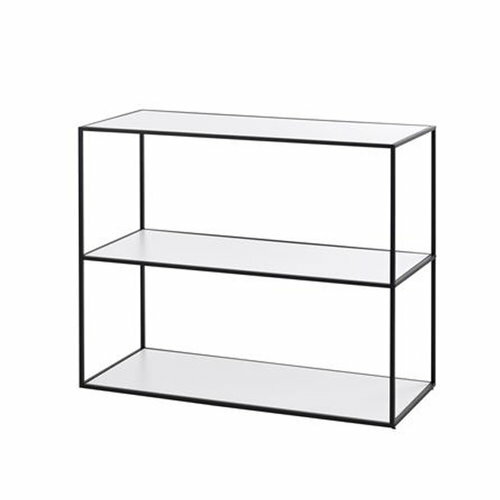 Twin makes a beautiful bookshelf for homes and offices but excels at storing kitchen items and displaying favourite objects and houseplants, too.